We are starting to see these all around the city – whether they’re at a park, hovering around a various meetup group, or being modded at hackathons, quadcopters are a fascinating gadget to tool around with. 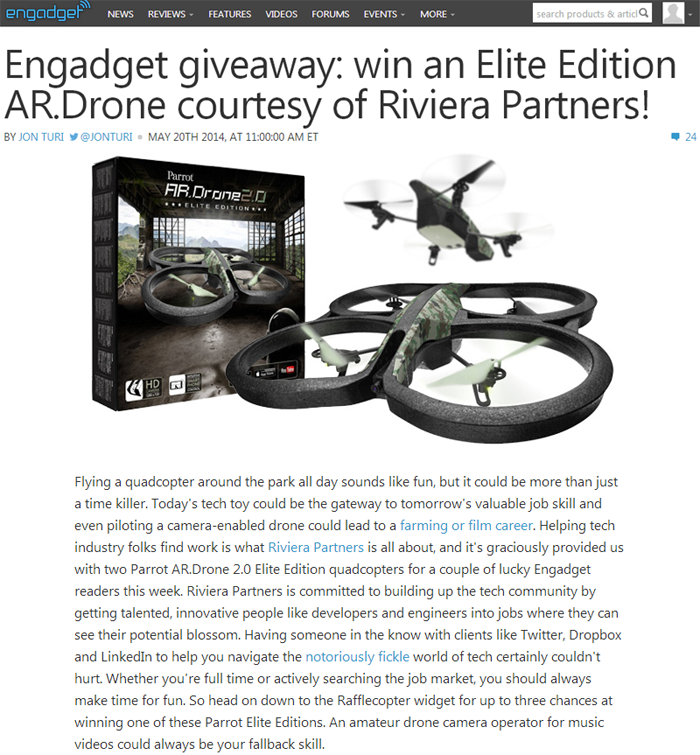 That’s why Riviera has teamed up with Engadget, a web magazine with obsessive daily coverage of everything new in gadgets and consumer electronics, to give away 2 Parrot AR.Drones. We hope that the lucky winners can use these drones to explore new, creative uses for them – or simply film some cool never-before-seen footage. Contest ends soon, so get your entries in soon!